Enchanting rides, attractive squares with music and bonfires to warm you up; in the Winter Efteling you will experience winter at its best! Thousands of twinkling lights will guide you through a world where fairy tales come to life. Let your favourite fairy tales warm your heart and be amazed by the most enchanting rides. Want to enjoy your time together even longer? Then stay overnight in one of the special Efteling accommodation locations and enjoy another day of the beautiful Winter Efteling. The Winter Efteling is open until 31 January 2019 from 11:00 a.m.
During a weekend away you can combine a day at Winter Efteling with a day of cultural activities or shopping (or both!) in Tilburg. In the festively decorated city centre, special activities are programmed every weekend. 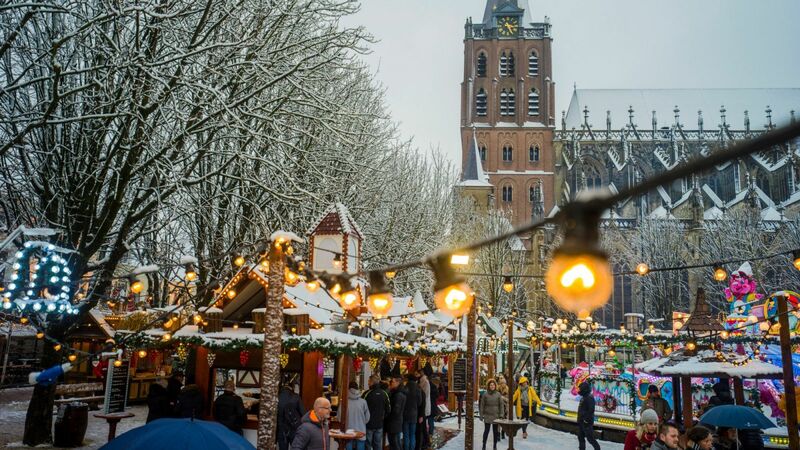 For example, on Sunday 16 December during the Kerstdwalerij (Christmas Wander Market); in the shops and stalls in the Dwaalgebied area you will find a mix of passionate makers in the field of crafts, creativity, food and handmade products. The church on Heuvel square is spectacularly illuminated throughout December and this winter you'll find huge Christmas baubles that you can stand in for an original Christmas selfie! Or visit the Textile Museum with its new exhibition Cultural Threads. The kids will love Natuurmuseum Brabant, a must-do! Eindhoven is celebrating the Fijne Feestdagen Festival (Happy Holidays Festival) this year. There will be ice skating on an attractive ice rink, Christmas markets and shopping in beautifully lit streets. In addition, the shops are open every Sunday here! Combine your visit with an amazing show at the International Christmas Winter Circus in the Parktheater. For a taste of modern art, head to the Van Abbemuseum and marvel at impressive inventions and discoveries at the Philips Museum. 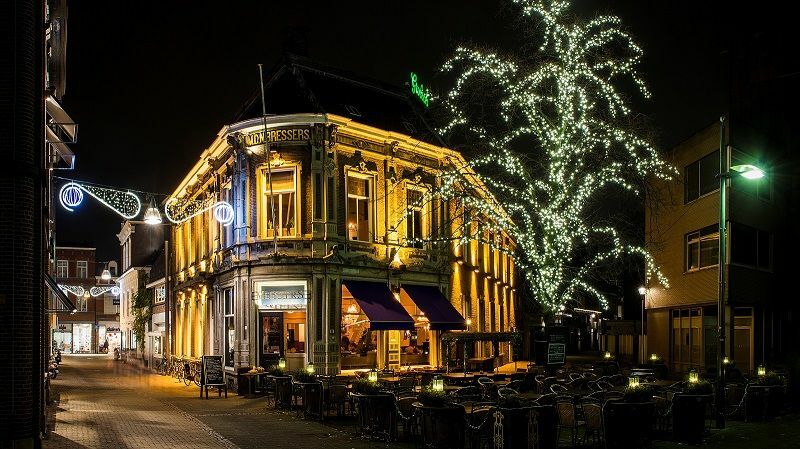 The capital of North Brabant with its romantic, picturesque streets and historical squares is always beautifully lit in December, which makes it an extra special place to shop for your Christmas outfit! Make sure you also visit the enchanting nativity scene in St. John's Cathedral. Every year this beautiful scene attracts thousands of visitors! Or take a look at the colourful works and drawings by the famous Brabant artist Jan Sluijters in Het Noordbrabants Museum. Time for a break? Settle down on one of the many heated pavement cafes with a mug of hot chocolate or a glass of delicious wine. From 14 December to 6 January Breda becomes Betoverend Breda (Enchanting Breda). There’ll be a large 'talking' Christmas tree, hot chocolate and mulled wine. But also attractively lit streets, musicians and an ice rink on the Grote Markt square. You can also visit the 'Grote Kerk' church, built by theNassau family, the forefathers of the Dutch royal family. The Stedelijk Museum Breda is the perfect starting point for a tour along the Blind Walls Gallery. You can use the handy app to guide you along these magnificent murals which tell the town’s history. Or bring Breda's historical sites to life on your own smartphone with Breda's latest AR app. Historical stories come to life again and doors will open that normally remain closed. 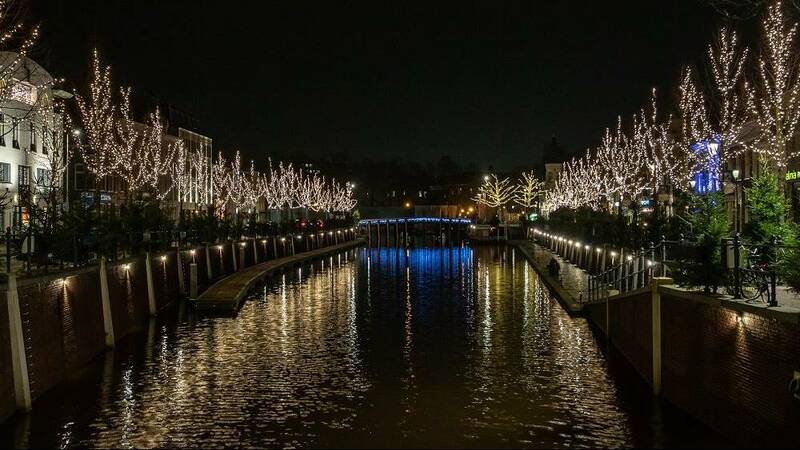 In the picturesque fortified town of Heusden you can start the holiday season by going Shopping by Candlelight! In the weekend of 15 and 16 December, stalls on the Vismarkt will be full of beautiful, unique finds. The historical streets around the market will feature food trucks. 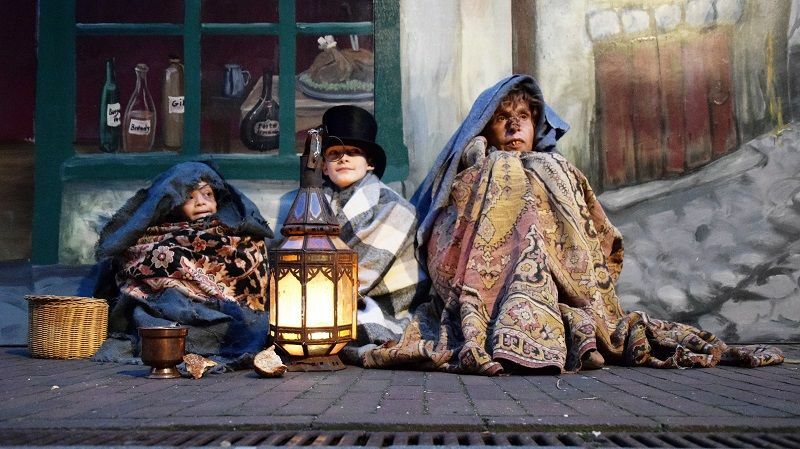 In the same weekend you can go to the Dickens Festijn in Drunen, where the clock is turned back and the cityscape changes into a living nineteenth century scene. Skating fun in the middle of the Market in Helmond.From 7 December to 6 January you can visit the covered and pleasantly decorated skating rink every day. Not such a skating enthusiast? Enjoy a cup of hot soup or chocolate milk on the covered patio overlooking the ice rink. Or go shopping in the beautifully decorated town centre. The shops are open on Sunday 2, 16, 23 and 30 December! 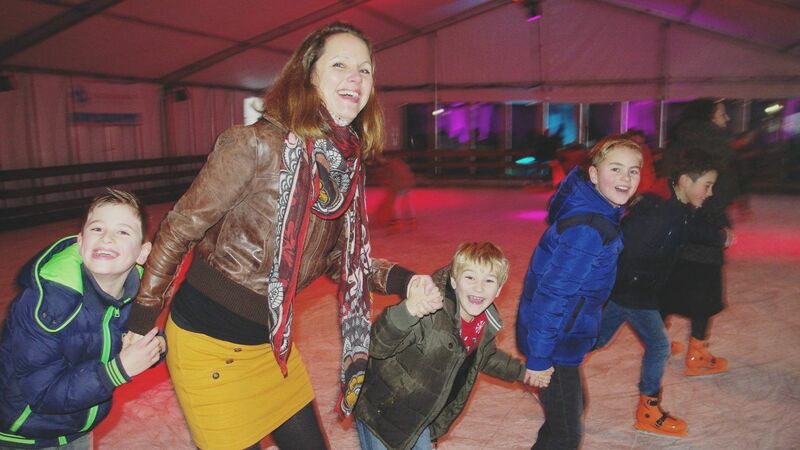 A great outing for the kids is Winterkasteel Helmond. From 11 December to 5 January, the castle will be adorned with cheerful Christmas lights, Christmas music will be playing and there will be chic tables set in style.